Alleging that the trio were planning to carry out blasts in the state ahead of Independence day and Bakri-Eid festival, the ATS had also said it would probe if they had any connection with the killings of rationalists Narendra Dabholkar and Govind Pansare and journalist Gauri Lankesh. 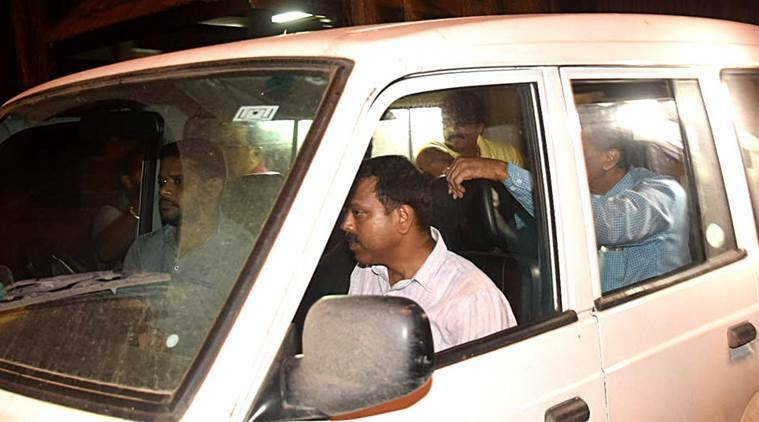 The Anti-Terrorism Squad (ATS) of Maharashtra police claimed to have seized four air pistols on Wednesday from the house of Vaibhav Raut, who was arrested with two others last week for an alleged conspiracy to carry out blasts in the state. A senior ATS official said an Innova car belonging to Raut was also seized from his house in Nallasopara near Mumbai. Besides, the agency seized a laptop, two CPUs, 20 air pistol pellets and some other material, he said. On August 10, ATS arrested Raut (40), who ran ‘Hindu Govansh Raksha Samiti’, a little-known pro-cow protection outfit, from Nallasopara. It was followed by arrests of Sharad Kalaskar (25) in Palghar district and Sudhanva Gondhalekar (39) from Pune. The ATS had then claimed to have seized a huge quantity of explosives and firearms during raids in Nallasopara, Pune and elsewhere in the state. The trio have been booked under terror-related provisions of the Unlawful Activities (Prevention) Act (UAPA).